Ahead of FC Rosengård's second leg against VfL Wolfsburg, Marta speaks to UEFA.com about playing in Sweden, her 2013/14 with Tyresö FF, and what UEFA competition means. Ten months after VfL Wolfsburg denied Marta a European title, she is hoping to return the favour when FC Rosengård welcome the holders on Saturday with their UEFA Women's Champions League quarter-final level at 1-1. Marta herself got what could prove a crucial away goal last Sunday in Germany, her 40th strike in 43 UEFA competition appearances. That haul includes helping Umeå IK to the 2004 continental crown and also last season's final, when the Brazil forward's Tyresö FF team led Wolfsburg 2-0 and 3-2 in Lisbon only to lose 4-3. That was the end for financially stricken Tyresö, yet Marta opted to stay in Sweden with Malmo-based Rosengård, aiding them to the Damallsvenskan title and this term's quarter-final. The 29-year-old spoke to UEFA.com about playing in Sweden, last season's extraordinary campaign and what this competition means to her. UEFA.com; You had offers from various countries, even in the winter transfer window. What made you stay here in Sweden? Marta: It's a country where I'm already settled. I like the lifestyle a lot. And because of the work in developing our sport here, it's one of the best countries in which to play women's football. So I took the decision to remain in Sweden for various reasons that make me feel comfortable. UEFA.com: For you, going from Tyresö to Rosengård has meant moving from the Stockholm area. How have your first six or seven months in Malmo been? Marta: It's been very nice. People are getting used to me being here. My neighbours always speak to me and ask how training and the matches are going. People show they're happy I decided to stay in Sweden. When I go to the market or a shop they always come to talk to me and show they're happy with me staying. That makes me very happy. UEFA.com: How does it feel to be starting the year with a club whose future is not in question? Marta: It's certainly more comfortable! I'm not worried, thinking: 'I'll be here one season and then what will I do next, where will I be?' It's more concrete, you know. I feel more comfortable with this situation, and I really hope it will help me show my best on the pitch. UEFA.com: How do you compare the Tyresö team that contested last season's final with this Rosengård side? Marta: We certainly had a very good team. Despite the problems off the field we took a team to the Champions League final, even knowing that after the match we wouldn't have a team any more and everyone would be going their separate ways. But we had great players, great professionals, and we made it happen. Here in Malmo, at Rosengård, we don't think any different. We have a very strong group and the girls are very competitive. We think the same way and we want to make history here at Rosengård. We are motivated every day; every training session is a chance to grow, to work and to strive for our biggest objective. So there isn't much difference in terms of competitiveness. It's just one or two players who have a different way of doing things on the pitch, but for the same goal: always winning and always developing. UEFA.com: What memories do you have of the final last May? Marta: Good and bad memories. The good memories are starting the game and being able to finish the first half 2-0 up. And the bad ones, of course, are not having the control and necessary calm to protect that scoreline. So there are good ones, which are the goals of course – and for me, especially, because I scored two goals with my right foot and I think one of them was particularly nice – and bad memories, because in the end we lost the Champions League. But overall I think everything we experienced at Tyresö, in footballing terms, was quite positive because it's difficult for a team, it's difficult for players, to be focused 100% and go onto the pitch and get victories and results when you're in such a complicated situation as we were. Nobody knew what would happen tomorrow. UEFA.com: What does the UEFA Women's Champions League mean to you? Marta: It's the most important competition there is for women's clubs. You can see the glamour it has for the men, all that expectation, the whole world celebrates when the men's matches happen – well, now we are involved in that climate of competitiveness too. Today I think people are more interested in our tournament because it has become the Champions League – the name and the way it is organised. So for us, it is super important, we're happy about this development. 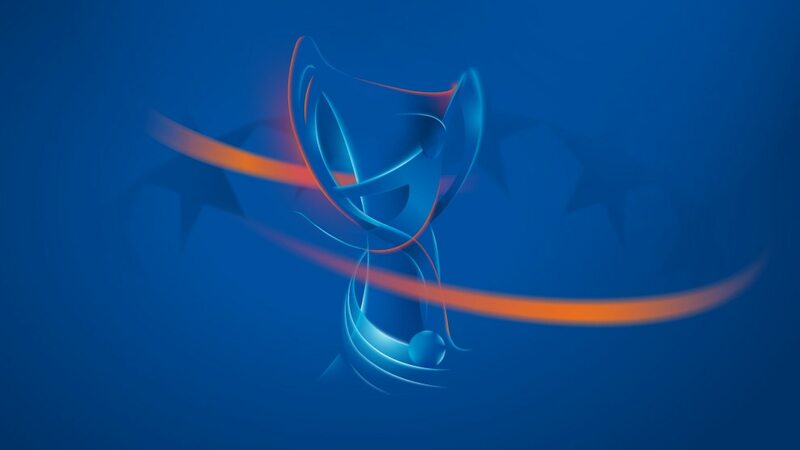 UEFA.com: Did you miss playing in this competition when you were in the United States? Marta: Definitely. The United States has great teams, great matches, but the focus of football has always been Europe, it's always been the Champions League, it's always been the European leagues. And that's kept the women's game growing. As I said, the glamour of the Champions League, the whole atmosphere around it, means that every player wants to play in it. Holders VfL Wolfsburg drew 1-1 at home to FC Rosengård in the first leg of their quarter-final, while Paris Saint-Germain and Brøndby IF both grabbed away wins. Charlotte Rohlin may have started her 20th Linköpings FC season with a first-leg defeat by Brøndby IF but she tells UEFA.com: "I have not tired of football yet." Watch the first episode of the new UEFA Women's Football Show on our YouTube channel featuring stars of the game and a UEFA Women's Champions League preview. One of the greatest female footballers of all-time, Brazilian star Marta reveals her inspirations and how she fought against adversity to reach the top levels of the game.